The David Livingstone Safari Lodge & Spa! Savouring exotic culinary tastes at aha The David Livingstone Safari Lodge & Spa! An eclectic array of exotic culinary world tastes and smells have made their way to awe-inspiring Zambia, set to enchant even the most refined palate. 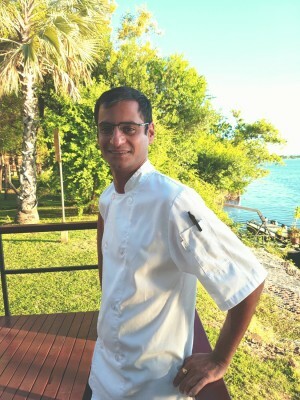 Being appointed as the first ever young Indian sous-chef at The Royal Livingstone Hotel Sun International Zambia; Anuj Ovaleker set his sights higher. The impeccable combination of his extensive international cultural and hospitality industry experience led to him being promoted to the Chef De Cuisine. Ovaleker honed his dexterous skill at distinguished institutions in Mumbai with its rich taste, fieriness and impressive flavours as well as in Paris; known as the home of haute cuisine. Leaving ‘the culinary capital of the world’ he returned to South Africa where he started his professional career as a pastry chef under Chef Alexandre Coupy and refined his French culinary skills. 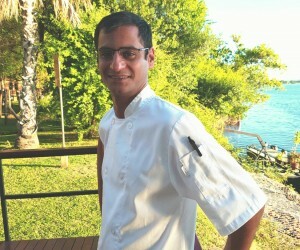 Through Chef Coupys’ guidance he got promoted to a sous chef at the restaurant Au Jardin at the Vineyard Hotel and Spa. While at this establishment, he had an opportunity to work very closely with Chef Mike Bassett, one of the top 10 culinary award winners of the South African Chefs who introduced the flavours of South East Asia to him. With his thirteen years of extensive hospitality industry experience, Anuj describes his food as a simple dishes with different arts of sous vide cooking and with lots of fusion style. Anuj's main objective is to continue working hard in simplifying lunches with lots of interesting flavours and making the dinner menu more interesting yet simple which will provide the guests a flavoursome variety of cuisines. With his attention to detail and undeniable love for food at the art of creating delicious dishes, guests are able to join him on his culinary journey with every bite. “I will also make the David Livingstone kitchen more interesting and unforgettable for the guests than before”, says Anuj. Anuj is able to prepare Indian traditional food and Jain meals (prepared without onion, garlic or root vegetables) to the guests at the lodge. Preferring to prepare home style Indian food for his Indian guests, he says “when they ask me to prepare Indian food they expect that I will cook like restaurants in India but get completely blown away when they see that I have prepared something that they prepare at home. To see them smiling at the end of their meal, means a lot to me”. His international experience has helped him to broaden his professional horizons by indulging the exquisite tastes of guests from around the world by serving Indian, European, Mediterranean and African cuisines ensuring that they feel right at home despite being far away from their homeland. Not only is he a master in the kitchen, this chef par excellence also has a knack for languages. He is home language is Marathi and he’s also fluent in English, Hindi, and French and he understands Afrikaans. We’re certain Chef Ovaleker will have an illustrious and fulfilling career at the majestic aha The David Livingstone Safari Lodge & Spa.